I hope you are having a great week so far. I have been busy making lots of cards to share with you. Today's card is brought to you via my Silhouette Cameo. 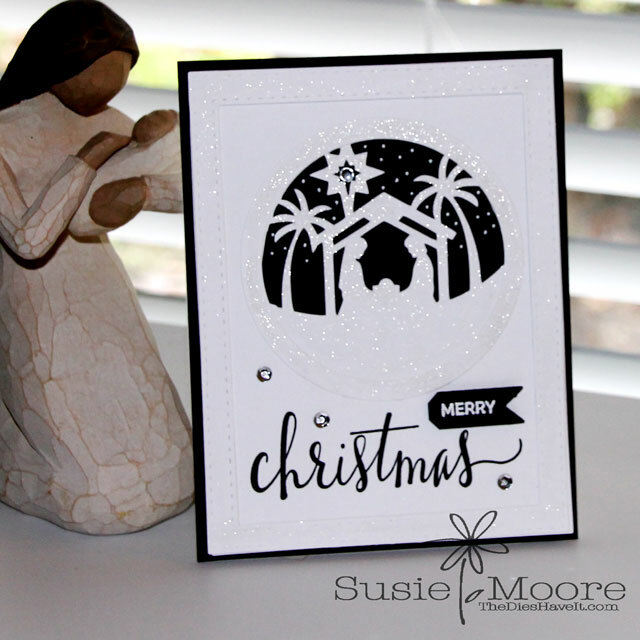 That sweet nativity is a cut file layered onto some black card stock. I framed both the nativity and the background with die cut frames. I added some clear Wink of Stella to each frame and it really made a lovely difference. I stamped my sentiment in black and then added a few white stars in the background to finish up this card. Oh - and of course a few silver sequins!